Thread Pitch 1.25 mm. Spark Position 4 mm. Function Spark Plug. Outer thread 14 mm. Thread Length 17.5 mm. 360 degree product illustration. FORD FOCUS II Station Wagon (DA_, FFS) 2.0 LPG Estate Petrol/Petroleum Gas (LPG) 06/2008 07/2011 FWD 16 145 107. MAZDA 323 C Mk IV (BG) 1.8 16V GT Hatchback Petrol 09/1989 03/1993 FWD 16 128 94. FIAT MAREA (185_) 1.6 Saloon Petrol 09/2000 08/2002 FWD 16 103 76. SKODA FABIA I Combi (6Y5) 1.4 16V Estate Petrol 05/2000 12/2007 FWD 16 75 55. 5 piezas te. PUCH G-MODEL (W 460). PUCH G-MODEL (W 461). Bujías incandescentes para motores diesel. Las bujías incandescentes para. 4 piezas de usted. Enchufes de resplandor original S Panda FIAT Punto 1.3 JTD 51 KW 70 HP BJ 03-1021,99 EUR. 5 piezas te. PUCH G-MODEL (W 460). Bujías incandescentes para motores diesel. 4 piezas de usted. Enchufes de resplandor original S Panda FIAT Punto 1.3 JTD 51 KW 70 HP BJ 03-1021,99 EUR. Enchufe de resplandor original S AUDI A4 avant 2.0 TDI 8ED/quat 125 KW BJ 04-0819,90 EUR. NGK BCP6ES. Candela accensione Elettrodo centrale-Nichel. Candela accensione 1 Elettrodo di massa. Candela accensione Non schermato. Candela accensione con sede-tenuta piatta. PUCH G-MODELL (W 463) G 320 155 09.1994 - 12.1997. 6 pedazos de usted. PUCH G-MODEL (W 463). 6 piezas brillan. 4 piezas de usted. Enchufes de resplandor original S Panda FIAT Punto 1.3 JTD 51 KW 70 HP BJ 03-1021,99 EUR. Enchufe de resplandor original S AUDI A4 avant 2.0 TDI 8ED/quat 125 KW BJ 04-0819,90 EUR. Puch G-Modell W460 SUV 230 GE 82-92. Puch G-Modell W461 SUV 230 GE 93-11. Puch G-Modell W463 SUV 230 GE 90-93. Denso TT or twin tip spark plugs are a low cost upgrade for standard copper plugs. Outstanding value for money and a worthwhile upgrade. 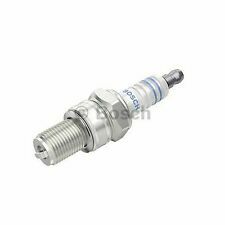 PUCH Spark Plugs Set 4x Bosch 22401ZE01B 2240158S15. NISSAN 2240158S15, 22401ZE01B. INFINITI 22401ZE01B. Thread Pitch 1.25 mm. Spark Position 3 mm. Function Spark Plug. Outer thread 14 mm. Thread Length 19 mm. Puch G-Modell W463 SUV 300 GE 90-11. Denso TT or twin tip spark plugs are a low cost upgrade for standard copper plugs. Outstanding value for money and a worthwhile upgrade. Image for illustrative purposes only. Construction year from: 09/1994, Engine Code: B 6254 F, Engine Code: B 6254 G. Engine Code: B20A2. Engine Code: 146 A4.048. Engine Code: FS DOHC. Engine Code: BRT. Engine Code: N9E. FORD SIERRA Turnier (BNG) 2.0 i DOHC Estate Petrol 12/1991 02/1993 RWD 8 115 85. Specifico per: STEYR PUCH Haflinger 0.6. Le candele d’accensione a marchio NGK sono sinonimo di qualità, affidabilità e durata nel tempo. L'INSERZIONE SI RIFERISCE ALL'ACQUISTIO DI DUE (2) CANDELE. Aggiungi ai Preferiti. Puch G-Modell W460 SUV 230 G 80-87. Denso TT or twin tip spark plugs are a low cost upgrade for standard copper plugs. Outstanding value for money and a worthwhile upgrade. Image for illustrative purposes only. Puch G-Modell W463 SUV G 500 98-11. Denso TT or twin tip spark plugs are a low cost upgrade for standard copper plugs. Outstanding value for money and a worthwhile upgrade. Image for illustrative purposes only. 12 months warranty on all orders. We will always attempt to rectify the issue as fast as possible! Eg, Vetech, Erst Klassig, Franzen, NK, etc. With this in mind, we will indicate what type of product you are looking at within the following guidelines. Para 09.11. FORD FOCUS II Convertible 2.0 10.06 - 09.10 107 145 1999 Yr. Para 07.10. FORD FOCUS II Torneo (empanada, FFS) 2.0 07.04 - 09.12 107 145 1999 Código de motor AODA. FORD COUGAR (EC_) 2.5 V6 24V 06.00 - 1 2.0 1 125 170 2495 Yr.
BERU 0001330904. BERU 14 DPURX2 FGH-8. BERU Z 122. < abarcan clase = notranslate ' > 327.5643323. < abarcan clase = notranslate ' > 095.514501. garantía del 100%. garantía de devolución de dinero. SKODA FELICIA estación wagon (6U5) < abarcan clase = notranslate ' > 1.3 LXI 50 08.1995 - 03.1998. SKODA FELICIA I (6U1) 1.3 50 10.1994 - 03.1998. SAAB 900 Mk II Coupe < abarcan clase = notranslate ' > 2.0 el 98 12.1993 - 07.1994. PEUGEOT 305 que rompo (581) 1.5 54 08.1980 - 09.1982. PEUGEOT 305 II (581M) 1.1 43 < abarcan clase = notranslate ' > 1 < abarcan clase = notranslate ' > 1.1-982 < abarcan clase = notranslate ' > 12.1988. MPN 0242229655. PUCH G-MODELL (W 463) 300 GE 125 06.1990 -. BOSCH H8DC0. BOSCH H8DC. 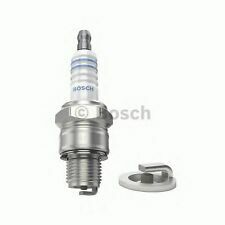 BOSCH Blister N24 - HR 8 DC. BOSCH 0 242 229 879. BOSCH HR8DC . BOSCH HR 8 D .
BERU 0001635709. BERU DU0 K-7 14. PUCH G-MODELL (W 460) 230 GE 92 04.1982 - 08.1992. PUCH G-MODELL (W 461) 230 GE 92 06.1993-. PUCH G-MODELL (W 463) 230 GE 93 06.1990 - 06.1993. garantía de devolución de dinero. BERU 0001630704. BERU 14 K 8 DU0. PUCH G-MODELL (W 463) 300 GE 125 06.1990 -. SU OPINIÓN ES MUY IMPORTANTE. < abarcan clase = notranslate ' > 327.5643323. < abarcan clase = notranslate ' > 095.514501. BERU 0001330116. BERU 14 FGH 8 DTURX0. BERU Z 121. PUCH G-MODELL (W 463) G 320 155 09.1994 - 12.1997. SKODA FELICIA I (6U1) 1.3 50 10.1994 - 03.1998. SKODA FELICIA estación wagon (6U5) < abarcan clase = notranslate ' > 1.3 LXI 50 08.1995 - 03.1998. Daewoo 88900741. 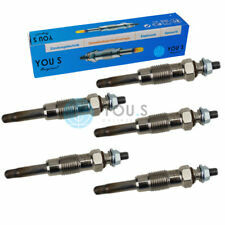 Original a estrenar DENSO Glow Plug. Ancho de llave 12. RESISTENCIA [OHM] 0.5. CITROEN / PEUGEOT 5960.34. BERU 0001635700. BERU 14 DU K-7. PUCH G-MODELL (W 463) 300 GE 125 06.1990 -. Renault 77 01 041 215. Renault 77 00 855-918. RENAULT SAFRANE I (B54_) 2.2 (B541) 79 04.1992 - 07.1996. RENAULT SAFRANE < abarcan clase = "notranslate" > (B54) < abarcan clase = notranslate ' > la 2.2 (B541) 79 04.1992 - 07.1996. Enchufe de resplandor 4x. Glow: la bujía incandescente. Rover Maestro - (1990-1995). Rover Montego - (1988-1995). Finca de Rover Montego XE (1993-1993). SEAT 131 - (1978-1986). SEAT 132 - (1973-1982). PEUGEOT 205 I (741A/C) 1.6 GTI 76 12.1984 - 10.1987. PEUGEOT 205 I descapotable (741B, 20D) 1.6 CTI 76 04.1986 - 10.1990. PEUGEOT 205 II (20 aire acond.). PEUGEOT 205 1.4 de Mk II (20A/C) 53 0 1.1 987 - 07.1988. PEUGEOT 505 (551A) 2.2 GTI Saloon Petrol 08/1983 12/1993 RWD 8 122 90. RENAULT ESPACE I (J11_) 2.0 (J/S112) MPV Petrol 07/1984 12/1990 FWD 8 109 80. RENAULT 14 (121_) 1.4 (1213) Hatchback Petrol 12/1981 12/1983 FWD 8 60 44. Applicable vehicle; MERCEDES-BENZ C-CLASS Estate (S202), CLK (C208), CLK Convertible (A208), E-CLASS Estate (S210), G-CLASS (W463), G-CLASS Cabrio (W463), S-CLASS (W140), SL (R129) PUCH G-MODELL (W 463) SUBARU FORESTER (SG), IMPREZA Estate (GD, GG), IMPREZA Saloon (GD, GG) Fast postage. Thanks for viewing. Engine Code: B 4184 S11. JAGUAR X-TYPE Estate (X400) 3.0 Estate Petrol 02/2004 12/2009 AWD 24 230 169. JAGUAR X-TYPE Estate (X400) 2.5 Estate Petrol 02/2004 12/2009 AWD 24 196 144. JAGUAR X-TYPE Estate (X400) 2.1 V6 Estate Petrol 11/2003 03/2009 FWD 24 156 115. RENAULT 25 (B29_) 2.0 (B297) Hatchback Petrol 04/1984 12/1992 FWD 8 101 74. CITROEN LNA 0.6 Hatchback Petrol 07/1982 04/1985 FWD 4 34 25. RENAULT 20 (127_) 2.2 (1279) Hatchback Petrol 10/1980 12/1983 FWD 8 116 85. HYUNDAI LANTRA Saloon (XD) 1.8 Saloon Petrol 06/2000 07/2006 FWD 16 132 97. TOYOTA YARIS/VITZ (_P1_) 1.3 (NCP10_, SCP12_) Hatchback Petrol 11/1999 10/2005 FWD 16 86 63. HYUNDAI MATRIX (FC) 1.6 MPV Petrol 06/2001 08/2010 FWD 16 103 76. (NGK BCP6ES. MPN BCP6ES. PUCH G-MODELL (W 463) G 320 155 09.1994 - 12.1997. A4H) 85 04.1993 - 04.1996. A4E) 93 0 1.1 992 - 12.1996. A2A) 104 02.1992 - 02.1995. A2L) 105 06.1987 - 09.1992. A2H) 109 06.1987 - 12.1990. BERU 0001640700. BERU 14 DU K-6. ALPINE A310 V6 de 2.7 110 < abarcan clase = notranslate ' > 0 < abarcan clase = notranslate ' > 976 - 1.1 < abarcan clase = notranslate ' > 12.1984.